The BMW 7-Series is a full-size luxury sedan that's atop the BMW lineup along with the new 8-Series. 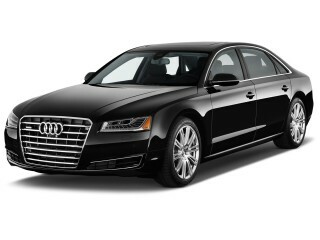 It has been a stalwart for the automaker, spanning six generations, and has been offered with a wide range of engines. This generation is no different: it's available with a plug-in hybrid turbo-4, all the way up to a fire-breathing twin-turbo V-12 that produces 600 horsepower. With the 7-Series, BMW shows off everything it's capable of doing as a car company. 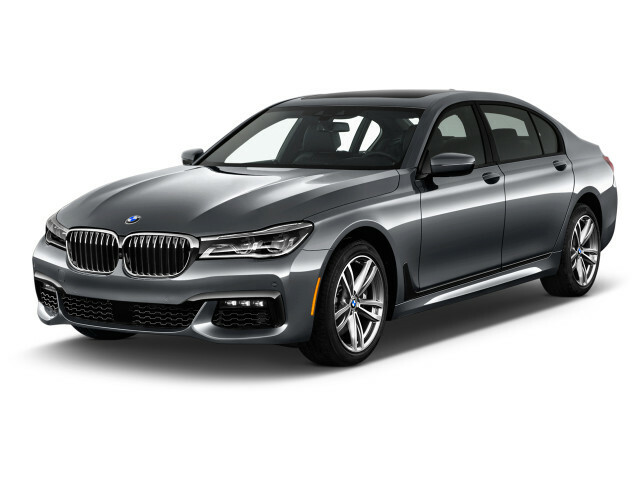 The 7-Series offers a lineup that includes the V-12-powered M760i xDrive, the performance-oriented BMW ALPINA B7, V-8-powered 750i, inline-6-powered 740i, and the 740e xDrive iPerformance plug-in hybrid. Prices easily soar above $150,000. For 2019, the 7-Series remained the same from the year before it, ahead of an update for 2020 that includes a longer-range plug-in hybrid model. 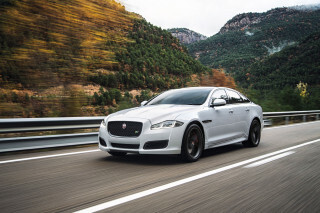 Rivals include the Audi A8, the Jaguar XJ, and the Mercedes-Benz S-Class. A sixth-generation version of the BMW 7-Series arrived for the 2016 model year. It placed supreme importance on weight reduction and took advantage of carbon-fiber expertise gained from the company's work on the i3 and i8 electrified vehicles. Lighter weight materials such as aluminum, magnesium, and composites cut nearly 300 pounds from the overall mass. There's already a range of powertrains for the new 7-Series, including turbocharged inline-6, V-8, and V-12 engines, plus the turbo-4-powered plug-in hybrid. The 740i and 740i xDrive have an inline-6, while the 750i, 750i xDrive, and ALPINA B7 xDrive have twin-turbocharged 4.4-liter V-8s. The B7 xDrive also has Integral Active Steering, which combines variable ratio electric steering system at the front axle with active steering on the rear axle. It can get to 60 mph in just 3.6 seconds and has various other performance upgrades. The M760i xDrive features a V-12 making 600 hp and 590 pound-feet of torque. 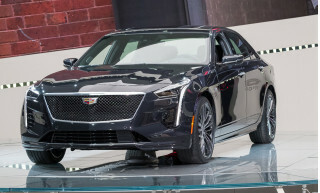 The new plug-in hybrid 740e xDrive iPerformance model teams a turbocharged 2.0-liter 4-cylinder with a 111-hp electric motor and a 9.4 kwh lithium-ion battery pack for a total of 332 hp and 369 lb-ft of torque. It has 14 miles of all-electric range, a 64 MPGe rating, and a 27 mpg combined city/highway rating from the EPA. The latest 7-Series adds many new features, including the ability to park and retrieve itself from tight spots with the driver outside the vehicle. The iDrive infotainment interface also gains a touchscreen—finally—in addition to the now-customary controller and touchpad. There's a possibility the new 7er will get an ultra-luxury model to sit above the V-12 model and below the 7-Series-based Rolls-Royce Ghost sedan; this new model would go after the recently unveiled Mercedes-Maybach S-Class. The first 7-Series was introduced in 1977 and was sold through the 1986 model year. A large, roomy four-door, the original "7er" came to America in three versions: 733i, 735i, and L7. The U.S. models were outfitted with power features, leather and wood trim, and a sunroof, as well as bigger bumpers to satisfy crash requirements, and they were marketed as luxurious competitors to the most expensive Mercedes four-doors. Some versions of the European-market, turbocharged 745i were sold in the U.S. in the gray market—technically not illegal, but not imported by BMW itself. The L7 was a version of the 735i fitted with more leather trim and more standard features, as well as an automatic transmission and a driver-side airbag—making it the first vehicle sold in America with that safety feature. For the second-generation 7-Series, which was sold from 1987 to 1994, BMW added a new engine. The 730i sported a 3.0-liter inline-6; the 735i carried on with its 3.5-liter inline-6; and the new 750i arrived with a 300-hp V-12 under its hood. The new sedan's styling was more sleek and yet still dynamic, with the quintessential BMW twin-kidney grille tilted forward at the front and inside, a functional—almost austere—cockpit that still featured a manual gearbox on some versions. An "L" version added length to the wheelbase, and late in life the 7-Series gained a new 3.0-liter inline-6 and a 4.0-liter V-8. The third-generation 7er underwent a styling change that brought clean and crisp styling that some found underwhelming. That said, the 1994-2001 7-Series still looks fresh today. This generation did without 6-cylinder power, instead offering 740i and 740Li models initially featuring a 4.0-liter V-8 and later receiving a 4.4-liter replacement. There was also a V-12-powered 750Li. These cars all used a 5-speed automatic. The third-gen 7-Series was treated to the usual mid-cycle face lift and also had a brief role in the 1997 film "Tomorrow Never Dies," where James Bond drives the car remotely using an early smartphone. The fourth-generation 7-Series changed dramatically, and with that change came controversy. This 7-Series, sold until 2008, brought with it a radically "flame-surfaced" style that was said to have been a response by chief designer Chris Bangle to a BMW board demand that their cars become more expressive. Expressive they were, but critics contended the high roofline, big glass areas, and oddly tiered styling didn't work well, and disrupted the company's focus on "Ultimate Driving Machines." BMW would go on to sell more of this generation 7-Series than any before, but sales grew thanks to expansion in new markets, particularly China. Over its lifespan, this generation would include short- and long-wheelbase variants, rear- and all-wheel-drive versions, but no manual-gearbox versions. Perhaps the most disliked feature of the new 7-Series was iDrive. BMW pioneered the round controller on the center console, which takes the place of dozens of buttons and switches in its cockpits. iDrive proved difficult for many users to master, even with haptic feedback and a large LCD screen for navigation. Changing radio stations could be an exercise in frustration; even redundant voice controls for the car's navigation system proved to be a hurdle. 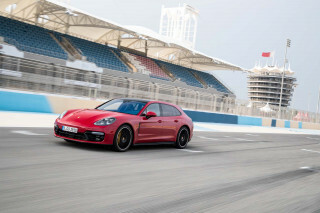 Widespread dissatisfaction with both the car's styling and iDrive didn't temper enthusiasm for its handling nor for its brisk acceleration, however. In 2006, BMW upgraded the V-8 engine to a 4.8-liter version with 360 hp, and changed the car's nomenclature to 750i/750Li. It had boosted the V-12 to 6.0 liters and 438 hp in 2004, making it the 760Li. In 2007 it reintroduced an ALPINA B7 with the 4.4-liter V-8, with output rated at 500 hp. BMW introduced the fifth-generation version of the 7-Series in 2009. With a revamped look that greatly muted the prior car's humps and crests, the new car turned out much more attractive, particularly inside, where iDrive lost the battle to control every function, and the dash was clarified into a more logical, handsome piece. The iDrive system itself received an entire rethink, more logical action, with intuitive icons, along with more redundant buttons that "bookmarked" settings for audio, climate, and navigation—whatever the driver's preference. Performance came initially from a range of V-8 engines for the first model year, with a 6-speed automatic the norm in the 750i and long-wheelbase 750Li; for the 2010 model year, BMW added 6- and 12-cylinder (740 and 760) versions, as well as a hybrid teamed with lithium-ion batteries, and new all-wheel-drive versions—and wait, there was also a new ALPINA edition. The V-12 version brought with it a new 8-speed automatic transmission, which eventually made its way through to the rest of the lineup. BMW also offered bulletproof versions of that latest 7. The 2013 BMW 7-Series lineup brought an extensive mid-cycle refresh. While the exterior design didn't change significantly (a new grille and front fascia were the most noticeable parts), the 2013 7-Series sedans packed next-generation turbocharged V-8 engines in the 750i variants, plus xDrive all-wheel drive offered on most of the lineup and an 8-speed automatic for all models, with both power and fuel economy figures rising for all of these models. Bang & Olufsen premium audio system arrived for these models; iDrive received a revised menu structure and voice-command system, while the navigation system offered faster rendering and 3D maps. Also in 2013, BMW very quickly sold out of a limited-edition 25th anniversary version of the 2013 BMW 7-Series, and rumors of a possible M Performance version began to stir. The 2014 model year saw few changes to the 7-Series line. For 2015, BMW left most things alone again but added a diesel model, the 740Ld. 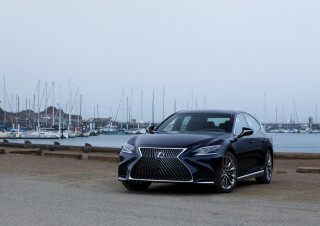 Only available as a long-wheelbase sedan, the compression-ignition 7er drew its power from a 255-hp turbodiesel inline-6 with 413 lb-ft of torque. LED headlights were available on the 2015 model. a great luxury car with the best equipment on the market , a luxury car that exudes strength and is allowed to handle with elegance . After 15 years driving different Mercedes S class y decide to switch to the new BMW 7 series , it was a great decision , the car is magnificent . I do not regree and I don´t remenber my Mercedes any more . After 15 years driving different Mercedes S class y decide to switch to the new BMW 7 series , it was a great decision , the car is magnificent . Aside from the fact that there are a still a few things I need to learn about this car, it is the best vehicle I've ever had. It's fun to drive - everything about it is as close to perfect as it can be.